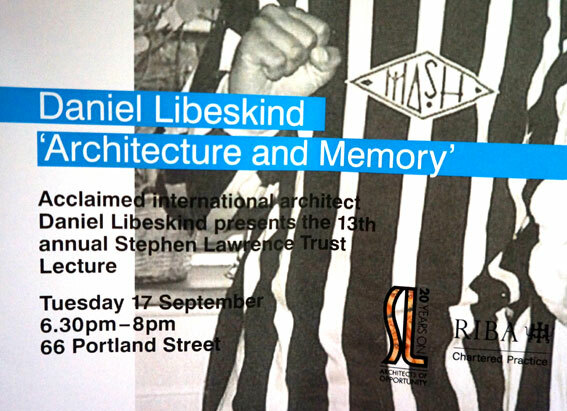 Last week I attended the Stephen Lawrence Memorial Lecture 2013 by Daniel Libeskind at RIBA in London. It was a very thought provoking talk by one of the most famous architects of our time. 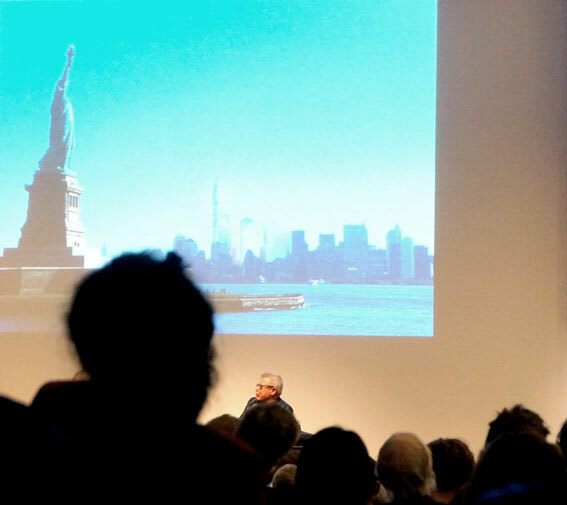 The talk was titled ‘Architecture and Memory’ and Libeskind was talking about his appeal towards difficult topics e.g. war memorials. Libeskind is asking questions like ‘Why do people participate in violence’, ‘what is it that makes people to act this way’? In his buildings it is important not to glorify war, but also present the fear that it causes. For example Libeskind wanted to build a very narrow entrance to the very large building of The Jewish Museum in Berlin. He argues that it is not always about comfort and easy of access to public buildings. Instead sometimes it is better to make things harder, which forces people to think and sense the difficulties behind the story of the building. His aim is to create suspension in his buildings, illustrating the destruction, which can lead to the new. He describes the Ground Zero project as a consensus in a place of many different elements. The waterfalls create sounds of nature, building up intimacy to the location. Libeskind admits never researching his projects, including the Ground Zero. Instead he wants to use real experiences of feelings like anxiety and fear when planning the work. It is not just a physical creation, but a moving experience he wants to create. The goal is always wanting to design something greater than just the building. In New York Libeskind wants to create a building that allows people to move forward from the tragedy. His approach is following a different track to be original. He says “I never had a goal. I just followed my path”. Which makes perfect sense; if you follow your path, you don’t need goals.